Our aim at South Newman Primary School is for Aboriginal students to gain the knowledge, skills and understandings needed to achieve and enjoy education success. 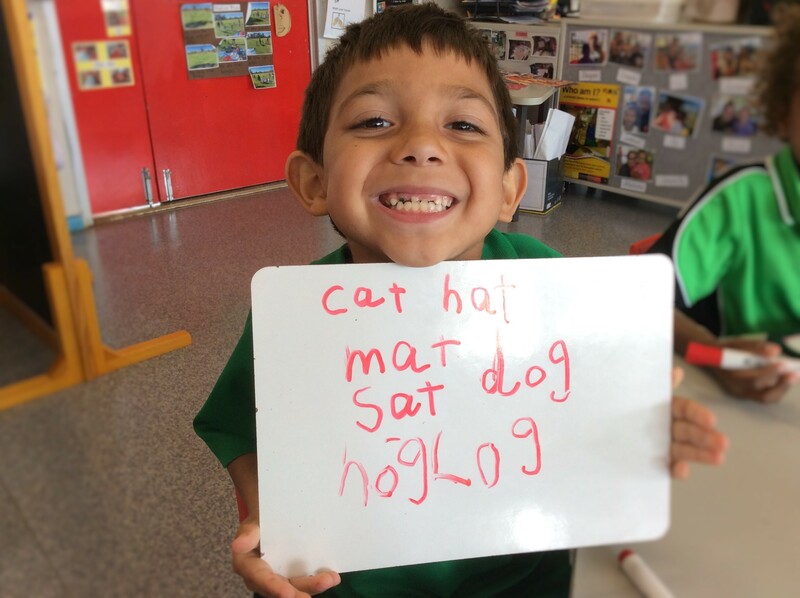 In 2017 South Newman Primary School introduced an Aboriginal Engagement mixed year level class to support and engage identified students. The class runs two days per week where students learn literacy and numeracy skills through cooking, games and literacy experiences. Families are invited to visit the classroom and share in their child’s learning. The classroom provides uniforms, school supplies and lunches to students as needed. Class teachers and administration staff establish and maintain high expectations for the Aboriginal Engagement Class and continue to encourage all our students to dream big. We continuously strive to increase Aboriginal and Torres Strait Islander participation in early childhood education through KindiLink as a result, we have seen improved school attendance through working together with outside agencies such as Remote Schools Attendance Strategy, Save the Children and Graham (Polly) Farmer Foundation. Our target is for Aboriginal students’ regular attendance rate to reach 80% by 2020. Our Aboriginal and Islander Education Officers (AIEOs) help to build positive relationships between school staff, families and local Aboriginal communities so the culture of the communities is extended into teaching and learning programs.